Vocal chamber music. Legendary French critic Andre Hodeir wrote that "in the works of Barraqué, music may well have attained the world of utter strangeness which was partly glimpsed by Beethoven in his late quartets, by Debussy in La Mer, and by Berg in Wozzeck". In this special concert curated by Paul Griffiths, Barraqué is placed in the context of his student Bill Hopkins and spiritual descendants, Paul Keenan and Patrick Ozzard-Low. Their works all share the same total integrity, focus and communicative power. With redfishbluefish, led by Steven Schick, and pianist Aleck Karis in a performance of Barraqué's Chant apres Chant, for soprano, piano and percussion ensemble. Recital. With pianist Stephen Lewis in works by Ravel, Ives, Kurtág, Cage and Juliana Hall on the San Diego Museum of Art's "The Art of Music", a year long series exploring the synergy between visual art and music. Repertoire includes Ravel's Trois poèmes de Stéphane Mallarmé (1913) songs by Charles Ives, Győrgy Kurtág Áttila Jozséf Fragments , selections from John Cage's Songbooks (1970) and Juliana Hall's Syllables of Velvet, Sentences of Plush (1989) are set to letters of the great American poet Emily Dickinson. Intimate and clear, the seven songs describe the intense personal life of Dickinson whose work reminds us that our inner life is where we ask the fundamental questions that shake us to our core, and - if we are fortunate - where we find the wealth we seek. May 6, 8, 9 7:00 p.m. and May 10 2:00 p.m.
Producer, performer. Since its premiere in 1929, The Threepenny Opera has challenged and captivated audiences worldwide. It has been performed over 10,000 times and translated into 18 languages. For kallisti's sixth opera project, we turn to this classic work of music theater, and view it through the prism of the future. Performer, producer. 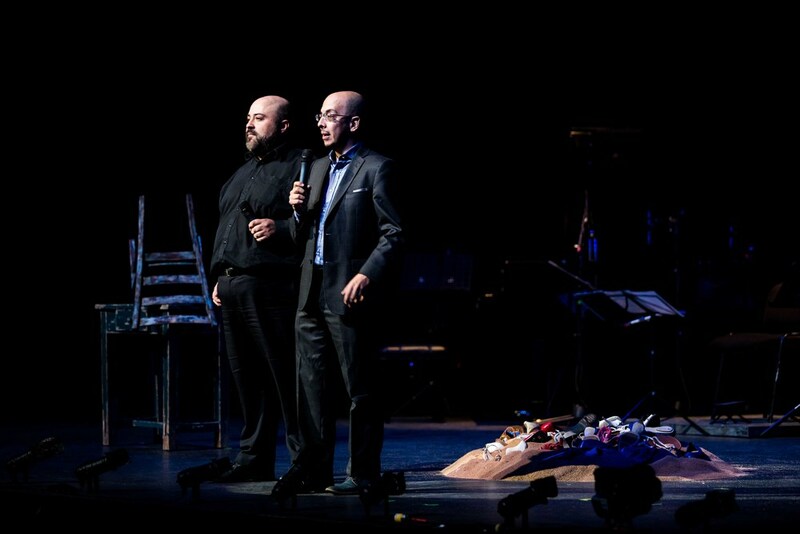 Cuatro Corridos, the critically acclaimed chamber opera, will be presented in the Teatro de las Artes, Mexico City for three performances. The opera will be live streamed and filmed by CANAL 22, Mexico’s Art and Culture Broadcast network. Performer, producer. Cuatro Corridos, the critically acclaimed chamber opera, will be presented at UMASS Amherst for one performance only. The opera will be preceded by a panel discussion on human trafficking led by Lauren McCarthy, UMass Amherst Assistant Professor of Legal Studies on The Reality of Human Trafficking. The UMASS performance of Cuatro Corridos is supported, in part, from an ARTWorks grant from the National Endowment for the Arts. Performer, producer, panelist. Cuatro Corridos will be performed at the Guadalajara International Book Fair/Feria Internacional del Libro de Guadalajara in the Teatro Diana, one of Guadalajara's premiere cultural performing arts venues. The Guadalajara International Book Fair is the most important book fair in the Spanish speaking world and is second only to the Frankfurt International Book Fair in its size and scope. Internationally renowned writer Jorge Volpi will be presenting his newest work, a full length novel based on his libretto of Cuatro Corridos. In addition, the conference will hold an International Symposium on Border Security and Human Rights as one of its activities.